Tonia is a licensed Marriage and Family Therapist dedicated to serving diverse children and families in community mental health settings across the Bay Area. Tonia specializes in treating adolescents coping with depression/anxiety, addiction, co-occurring disorders, trauma and life transitions from a culturally competent perspective and using Expressive Arts and family systems. 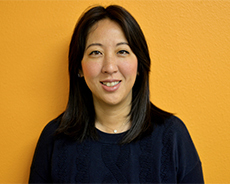 She served as Program Director for The GIRLS Program at Starvista in San Mateo County, has worked at Kaiser Permanente Department of Psychiatry Chemical Dependency in Redwood City and currently serves as Teen Therapist for Children’s Health Council in Palo Alto and has a private practice in San Mateo. Tonia has taught courses in Family Violence, Multicultural Competency and Substance Abuse as an Adjunct Professor at Wright Institute and John F. Kennedy University Graduate School. Tonia enjoys cooking, travel, poetry, art/design and spending time with her family.